What, you may ask, is a “Florida Staycation”? Let me share. A staycation is kind of like mini-vacation; one that doesn’t require much, if any, travel. Today, we are going to share some staycation ideas: both suggestions for “sleeping out” and ideas for activities if you choose to “sleep in”. Let’s face it. It almost Presidents Weekend; if your kids attend Broward Schools they have Monday, February 19th off from school – the perfect three day weekend to get away or spend some time away from home! Let’s say you really don’t want to go far; perhaps less than two hours. You would be surprised at how many options you have, both to truly travel away for the weekend, or simply to find fun and exciting things to do. Below we have provided a list of some fabulous close-to-home getaways as well as activities and day trips. Check out our suggestions, by county and, if you have others that are great, share them in the blog comments so we can all benefit! First, let’s look at our home county, Broward! There so many options for a quick staycation practically around the corner. We have identified a couple for you to check out. Margaritaville: Have you been here yet? If not, you should. In a word, it’s fun for the whole family. With amazing pools, spas, bars and restaurants, this hotel is located in Hollywood so travel is virtually non-existent. Check out their website and learn more about it! 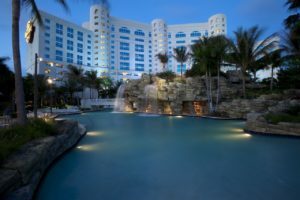 Seminole Hard Rock Hotel and Casino: Back to Hollywood again, this hotel has an amazing pool area, tons of fabulous restaurants and, if your a gambler, a huge casino. Visit their website to see what else they have to offer. Quiet Waters Park: Let’s go camping! I know, you don’town camping equipment and sleeping in the middle of nowhere is simply not you. I have the answer: Quiet Waters Park. With platform tents and tee pees on site, you really don’t need much. Throw your sleeping bags and air mattresses in the trunk with a cooler, some sports equipment and a deck of cards and you are set. When you arrive at the campground, you go right to your tent (you must reserve in advance). 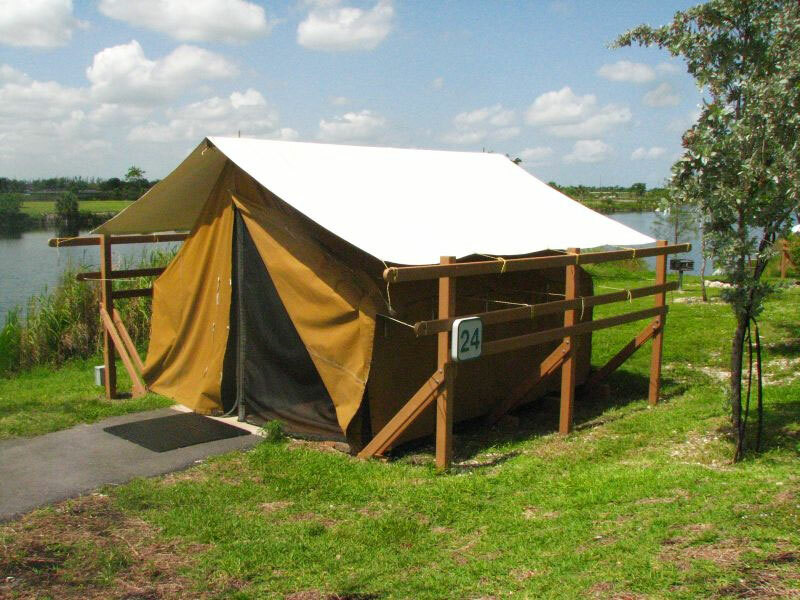 Each site has a tent on a platform, running water, a picnic table, a fire ring and electricity. You can purchase firewood and ice on site. And, how about this: sites are $35 per night for four people, and two additional can be added for $3 plus tax per person. The park offers so much to do; and the weather this time of year is beautiful. This is a fantastic and inexpensive getaway for the family. It’s something different and so much fun! Fort Lauderdale Water Taxi: Water Taxi tickets are valid for twelve hours and you can hop on and off at multiple locations. With three different routes, this is a great way to see the city and enjoy all it has to offer. Fort Lauderdale Family Pirate Cruise: This pirate ship cruises down the intercoastal and the voyage includes pirate games, face painting and water cannons. If you have young children, this is a unique family activity. Just to our north, Palm Beach County is home to countless hotels, resorts and lodging options; and offers so many fabulous options for a quick trip away. Below we have highlighted just a few! Singer Island: Want to go someplace where it seems like you are really “away”? Head to Singer Island. Located in Palm Beach County, Singer Island is actually part of Riviera Beach. It’s seven miles long and filled with hotels and resorts. The island is also home to John Macarthur State Park where you can bike, snorkel, and fish. Visit Singer Island online to learn more about what is has to offer as well as the many hotels available. The Jupiter Waterfront Inn: Consider a trip to Jupiter. The town is lovely, the beaches are fabulous and the Jupiter Waterfront Inn is simply a great place to stay. Located on the Intercoastal, this hotel has a beautiful heated pool, is close to beaches, water sports and the famed lighthouse. They even have their own fishing pier. Spend the weekend in Jupiter; you can relax, eat at fabulous restaurants and truly feel like you are far from home. River Palms Cottages and Fish Camp: Love to fish, this is the place for you! Located in Jensen Beach, this property is comprised of 25 pet friendly cottages. It’s on the western bank of the Indian River and the cottages are located on beautiful grounds filled with tropical plants. Spend the weekend and participate in a variety of activities both on property and near by. Check out their website for photos and more information. Island Living Tours: Consider touring beautiful Palm Beach. Island Living Tours offers riding, bike and walking tours. Each provides something special and all can be personalized. Visit their website for information on what you will see and do! Lion Country Safari: Take a trip on a safari in your own car! See over 1,000 animals and then visit the park for animal interactions, feedings, rides and a splash area. Make a day of it. Click here for a coupon! Just to our south, Miami-Dade County is one popular vacation destination. Take a look at some options in this exciting area. 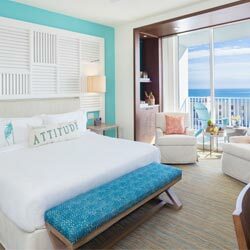 Fontainebleau Hotel: If you truly want to feel like you are on vacation, check out this resort-like hotel in Miami. With super cool pools, amazing restaurants and a beautiful beach you will truly feel like you have gotten away. Perfect for families and couples alike, this property has something for everyone. Larry and Penny Thompson Park Campground: If you are campers, check this out. This 270 acre campground is located near the Zoo has both RV sites and tent sites. Additionally, there are restrooms, laundry facilities, a freshwater lake and jogging trails. Consider this lower-cost weekend away! Bimini Bahamas Day Trip: This full day trip to Bimini in the Bahamas includes a round trip boat trip (two hours each way) and allows you to spend the day on the island in any way you wish. Boats leave from Miami and travelers will have seven hours to spend in Bimini. Big Bus Miami Hop On Hop Off Tour: Take this opportunity to spend the day exploring Miami by bus. You will visit Little Havana, South Beach and even Coconut Grove without the hassle of driving and parking multiple times. Seasoned guides provide commentary and you can consider supplementing your day with a boat tour. Specific information is available on their website. Miami Seaquarium: Here is one for the whole family. Visit Key Biscayne and spend the day at the Miami Seaquarium. This 38 acre park is filled with fun. There are exhibits and marine life shows; make sure to check the schedule so you don’t miss a thing. We know you will come home knowing so much more about life in the ocean! Whether you decide to “go away” for the weekend or simply stay in your home and take advantage of some of the wonderful things to do in South Florida, we hope you have a wonderful holiday weekend. And remember, staycations are not limited to long, holiday weekends. You can take advantage of great rates on other, less “in demand” times and there are often last minute deals to be had if you have the flexibility. Check travel websites like priceline.com or expedia.com; they often have great prices!